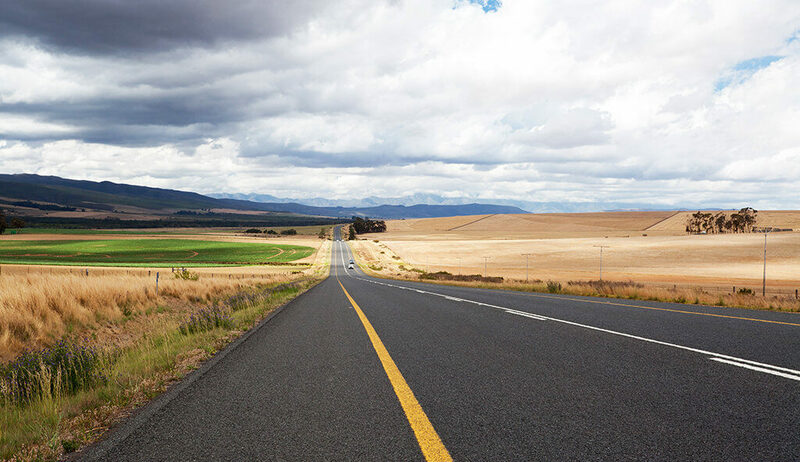 The Easter break beckons, and so does the open road. This holiday really is the perfect opportunity to get out and explore South Africa’s natural beauty. Gorgeous horizons, scenic mountains ranges, and picturesque landscapes – what more could anyone want? The next few weeks are ample time to navigate at least a handful of the country’s beautiful stretches. Before you embark on your exciting adventure in your trusty TATA Bolt, though, a few safety checks should be done to ensure that there’s smooth sailing (or driving, rather) from start to finish. Here they are, in no particular order. Does every single light in your vehicle work? We’re not just talking about the headlamps and tail lights here, but also your emergency lights and indicators too. Make sure each bulb operates as intended, so you can clearly see the road in dark conditions, and alert other drivers to your intentions. You’re going to be travelling several hundred, maybe even thousands of, kilometres, so it’s crucial to guarantee that your tyres are in tip-top condition. First off, consult your vehicle’s manual to confirm the pressure – taking into account that you’ll be transporting a heavier load with your luggage – and get them pumped accordingly. Then take a look at tread. Make sure there is sufficient depth (a minimum of 1.6mm, according to Michelin) and see that you haven’t accidentally picked up a nail or something else just waiting to inconvenience you halfway through the trip. Lastly, check for any unusual bulges, cracks or tears. You’ll want to keep the wheels turning without issue on this trip, so check that yours are properly secured to the vehicle. And that spare? Don’t dare travel without it. You definitely don’t want to be stranded in the middle of nowhere with no means to continue the journey. A chip or crack on a windscreen today can escalate into an awful spider web of restricted visibility tomorrow. If you have any unaddressed blemishes on your vehicle’s windows, have them sorted out before you embark on your trip, so they don’t become a nuisance down the road. Rain is a real safety hazard, so ensure you’re properly equipped to deal with it, no matter how light or heavy it may be. Wipers are the perfect weapon for any grey sky, but they’re essentially useless if they’re not maintained or replaced regularly. Double-check that yours are working as intended, and that they give a good, clean wipe with every swipe. Your vehicle is home to several fluids that keep it running smoothly in their own different ways. Pop open the hood and check your engine oil, coolant, brake fluid, power steering fluid, and windscreen washer fluid. Top up any that are below their indicated levels if necessary, and don’t forget to check water levels too. There’s no telling when the unexpected may occur, which is why it’s so important to make sure you have all the equipment you might need in the event of an emergency or a breakdown. Do you have a vehicle safety triangle, for example, to alert other drivers to the fact that you’re changing a flat tyre up ahead? What about a first aid kit in the event of an accident? Familiarise yourself with emergency numbers too, just to be safe. All of the above are steps that everybody should be able to make, relatively hassle-free. For the more complicated components of your vehicle, however, you’ll want to consider taking your car to a professional – unless you happen to be a proficient petrolhead who’s happy to conduct the more advanced checks. If not, have an expert check your battery, engine, suspension, brakes, and all other important components. Once all that’s done, you’re ready to hit the road! Follow all the checks above, and you’re sure to have a hassle-free holiday. Be safe, and remember to take the time to enjoy all the wonderful sights South Africa has to offer.